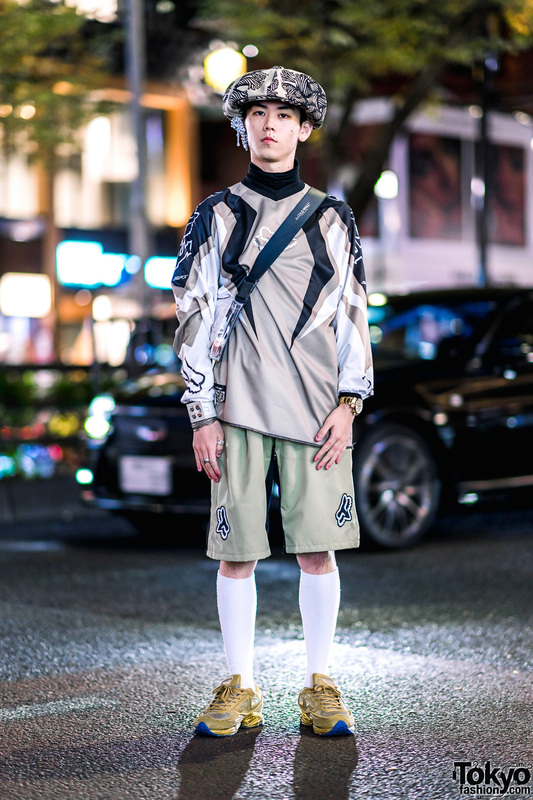 Harajuku guy sporting an eclectic look with v-neck sweatshirt, colorblock shorts, gold sneakers and a clear crossbody bag. Sushi shop owner dressed in a faux fur maxi coat, lace blouse, embroidered tunic, track pants and white sneakers. 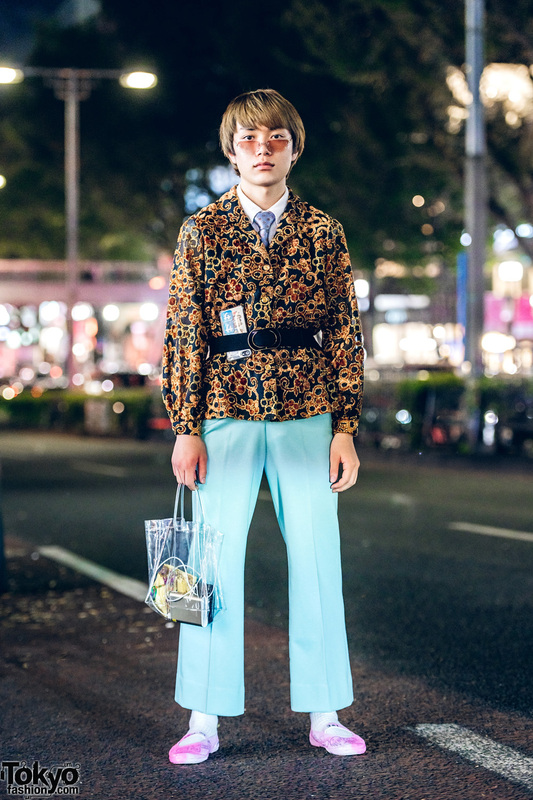 Harajuku guy sporting a retro vintage street style with brocade jacket, aqua pants, pink shoes and a clear tote bag. 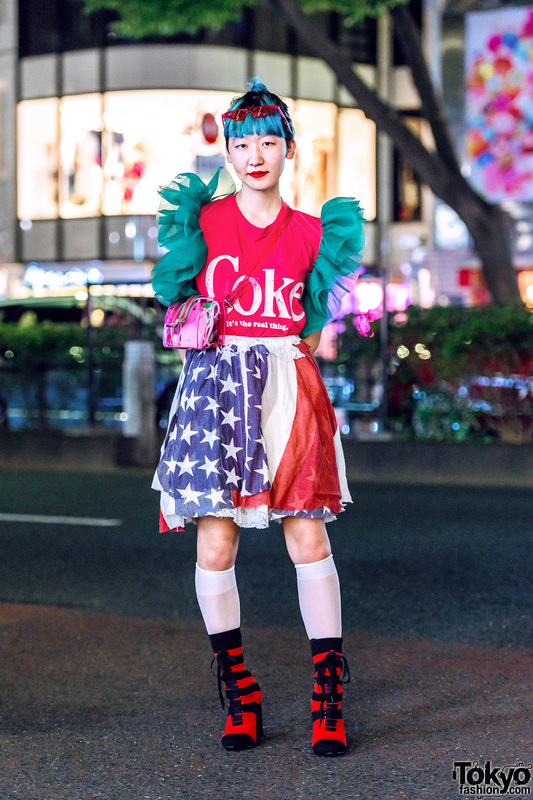 Japanese student sporting a statement-making style with Coke ruffle top, layered flag skirt and striped sock boots. Japanese student/dancer in a chic all black outfit with lace coat, fur stole, layered bottoms and velvet boots in Harajuku. 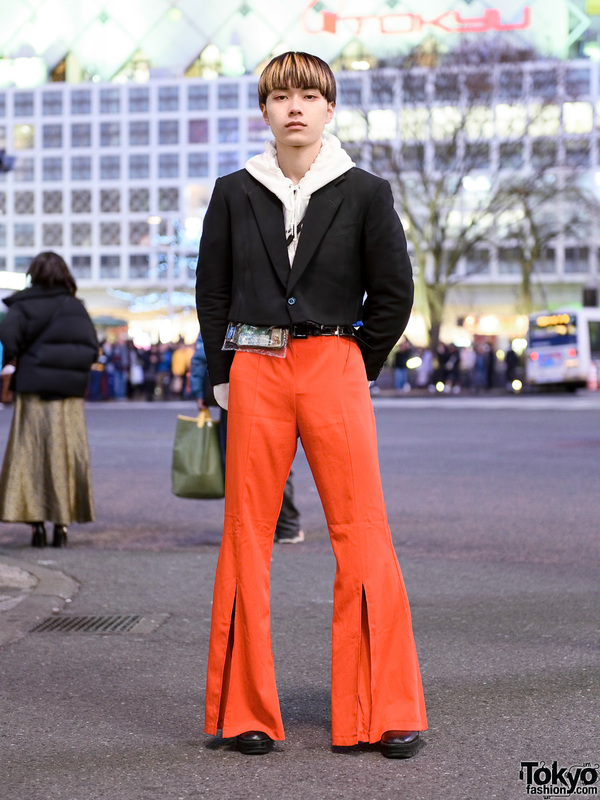 Japanese beauty school student sporting a casual look on the street with an orange DHL t-shirt, denim pants, colorblock sneakers and a clear sling bag. 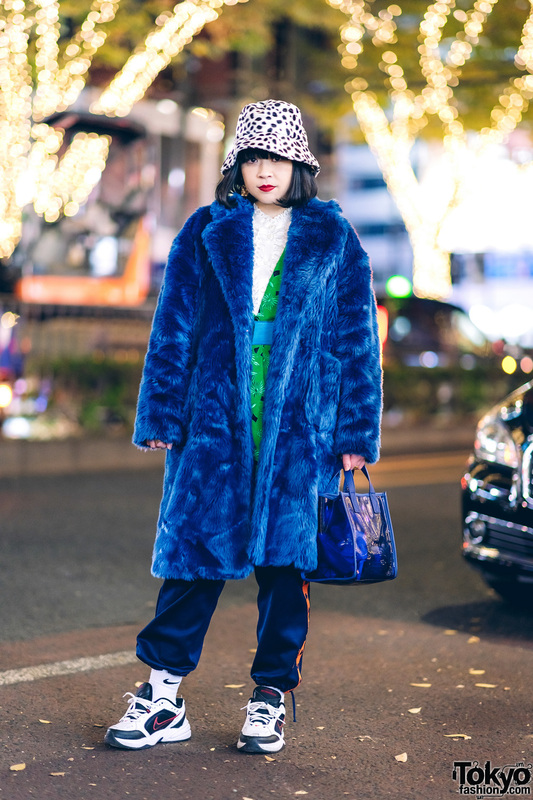 Japanese beauty school student sporting a casual layered street style while out and about on the Harajuku street.